Over the past several months, the fashion set hasn’t been able to get enough of one particular denim style. What started off as a designer staple has now trickled its way down to contemporary brands and fast-fashion retailers alike, as each tries to make its own version of this irresistibly cool denim trend. The style we speak of includes a raw hem, often uneven, with selected areas appearing patched in a darker wash, usually down the side of the leg or peeking out from beneath the pockets. Well, get ready to freak out, because H&M just came out with its own version of this denim trend, and the pair couldn’t be better if it tried. Suited with that on-trend raw hem, flattering high waist, and, of course, the dual-tone patched pocket detailing, it is truly shocking to see these jeans ringing in with a humble $60 price tag. 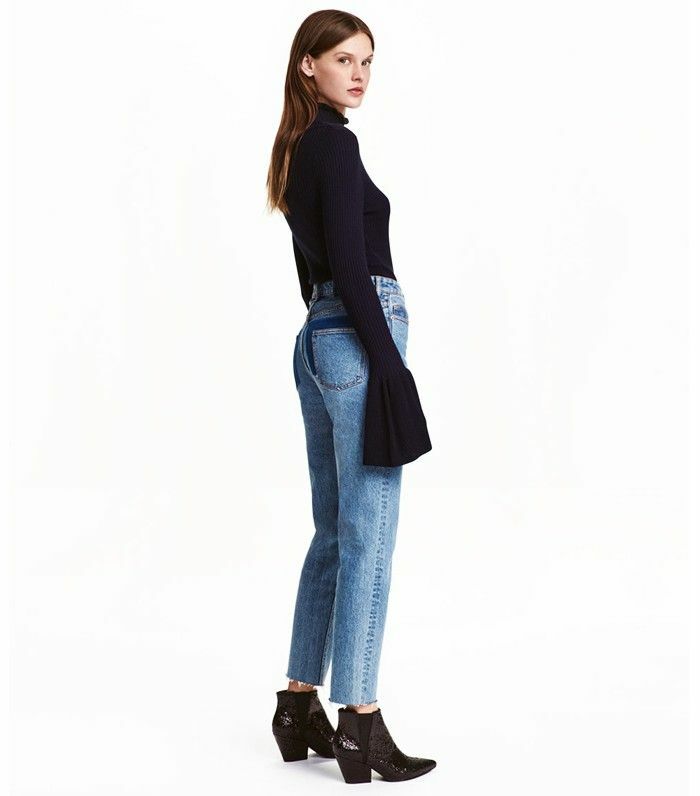 They just appeared in H&M’s new arrivals section this morning, so the time to buy these jeans is now. As soon as other fashion girls get wind of this new style, it’s sure to sell out ASAP. Scroll down to shop the jeans that are going to be huge this fall! Can we also admire H&M’s impeccable styling for a moment? These pockets are the definition of It-girl cool. What do you think of this denim style? We want to hear your thoughts in the comments below!